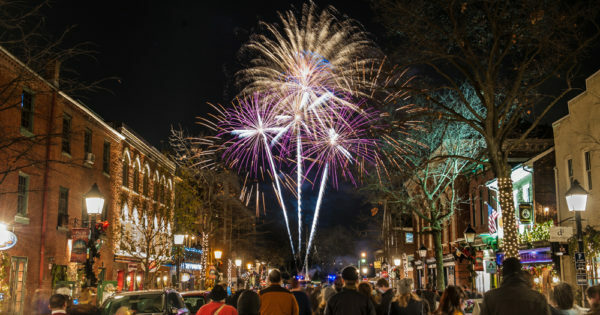 First Night Alexandria is an annual New Year’s Eve music festival and the largest family-friendly and alcohol-free New Year’s Eve party in the DC area. The fun for the family begins at 2PM. Entertainment starts at 7PM around Old Town. And, of course, there will be a fireworks display—the only one in the DC area—over the Potomac River at midnight. Old Town will showcase more than 100 performers at 25 warm indoor venues. New this year is a Kids Karnival for children 12 years old and younger at three locations from 6 to 9PM that includes face painting, games and a kids’ countdown; a bigger-than-ever party at the George Washington Masonic National Memorial featuring Magician Mike Rose, dance parties with DJ Good Times and fireworks viewing from the lawn; and a Variety Showcase from 8 to 10 p.m. at Shiloh Baptist Church featuring comedians and spoken word poets. And there is always the Fun Hunt for both kids and adults. Teams can pick up a clue sheet at the Torpedo Factory, search for items on the list, and return the completed sheet for a chance to win money, vouchers, games and merchandise. Tickets are $30 December 1-30, 2018 and $35 December 31, 2018. 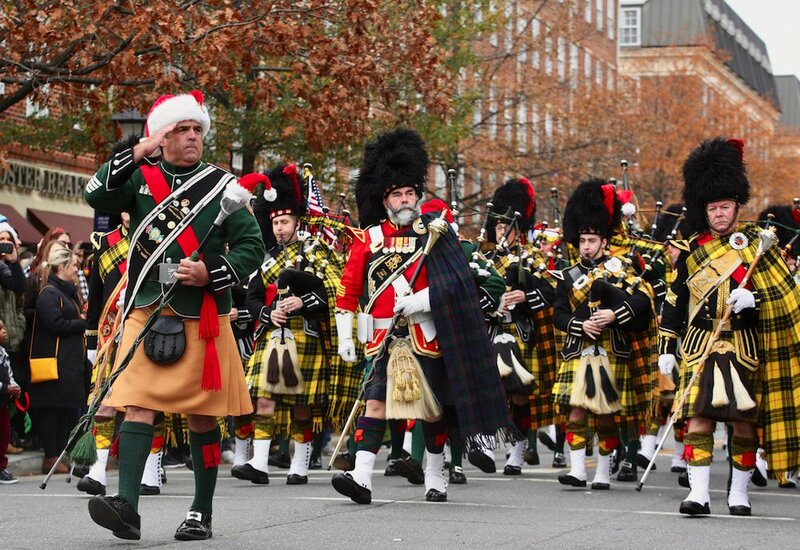 Kids 12 and under accompanied by an adult with a badge and active military get in free. Small Business Saturday, started in 2010 to encourage consumers to shop in their small local stores rather than national chains and big box stores. 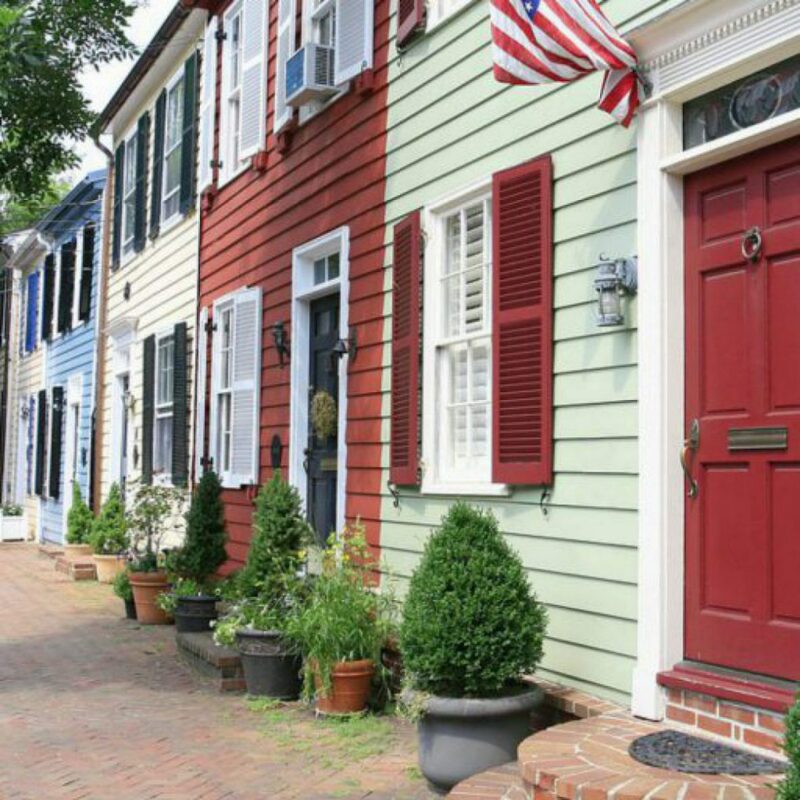 This year Small Business Saturday is back and bigger than ever when more than 50 independently-owned boutiques in Old Town Alexandria and Del Ray will offer special in-store activities. The Elf Prize Patrol returns from 11AM until 1PM offering shoppers with surprise giveaways in Old Town as well as Del Ray. You can enjoy free parking at parking meters, pop-up musical and DJ performances and special activities at the Torpedo Factory Art Center. Alexandria Restaurant Partners is also offering 10 percent off your total restaurant bill with a receipt from a local business. Alexandria Restaurant Partners restaurants include Vola’s Dockside Grill, Mia’s Italian Kitchen, The Majestic, Joe Theismann’s Restaurant & Bar and Lena’s Wood-Fired Pizza & Tap. And don’t forget Museum Store Sunday with Alexandria museum stores featuring unique and historically-inspired gifts with special offers and seasonal refreshments. 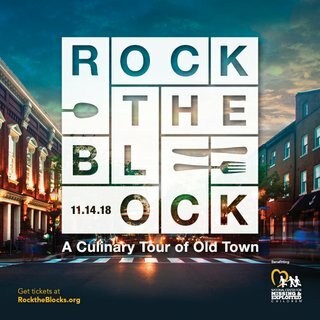 Rock the Block is a new culinary-based fundraiser that will take place on Wednesday, November 14 from 6-9 p.m.
A ticket allows you to eat at the top restaurants in Old Town and, at the same time, help the National Center for Missing and Exploited Children. There are different levels of tickets. 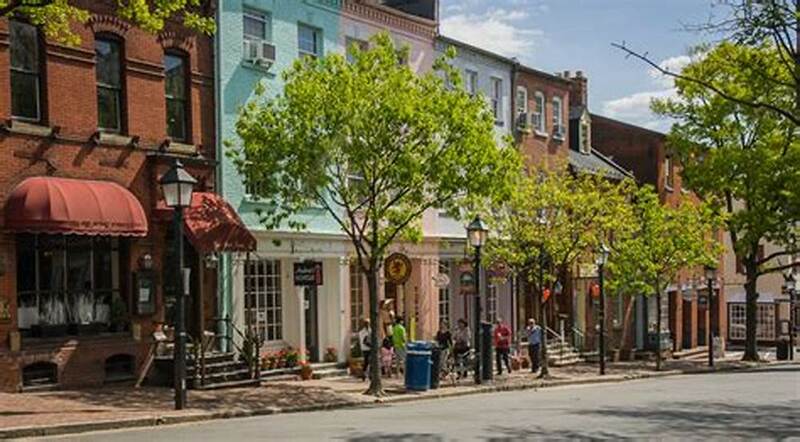 A General Admission ticket ($125/person) gets you access to eating and drinking at a number of Old Town Alexandria’s hottest restaurants. VIP tickets ($300/person) allow the entrants to attend a reception beforehand from 5-6:30PM and access to the after-party from 9-11PM. Each restaurant will offer five to six small plates and three to four specialty cocktails.